Our team of analysts and researchers has experience in industry or consulting. 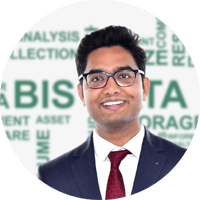 Our analysts have strong educational backgrounds typically Engineering and/or MBA qualifications - from leading institutions in USA, Europe and India. Each team member embodies the company's values of being a partner in the growth and augmentation of its clients by ensuring its availability and willingness to cater to the client's needs in the most honest and sincere manner. Ravi Sangal was the President of IDC, a global marketing research and marketing intelligence organization, for nearly fifteen years. As its head, he built the organization almost from scratch and demonstrated market equity, growth and consistent profitability. He has more than thirty years of work experience in market research, management consultancy and academics. Mr Sangal has been directly responsible for conducting a number of industrial surveys, in-depth face-to-face interviews with senior industry leaders, opportunity identification and in secondary research. Due to his extensive industry knowledge and understanding, he was appointed National Consultant by UN for technology assignments. 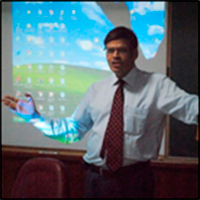 Mr. Sangal has often been quoted in print and electronic media for his accurate observations. He has been on the cover of several leading magazines and news papers in the past. He has been awarded a Statement of Accomplishment by JOHNS HOPKINS UNIVERSITY, US for Data Analysis. Ravi is an engineering graduate from BITS, Pilani and an MTech (Management and Systems) from IIT, Delhi. 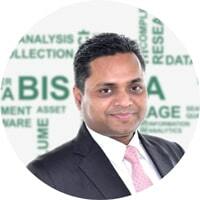 Faisal has handled varied range of responsibilities, and has partnered with prominent companies such as Texas Instruments, Avery Dennison, Hewlett Packard, Emerson, Kodak, SABIC, and Olympus among others to contribute extensively to the knowledge base in their respective industry verticals. 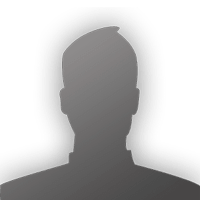 He has authored more than 50 technical/market intelligence reports, custom studies, and client presentations and has been a participant in various international technology conferences. 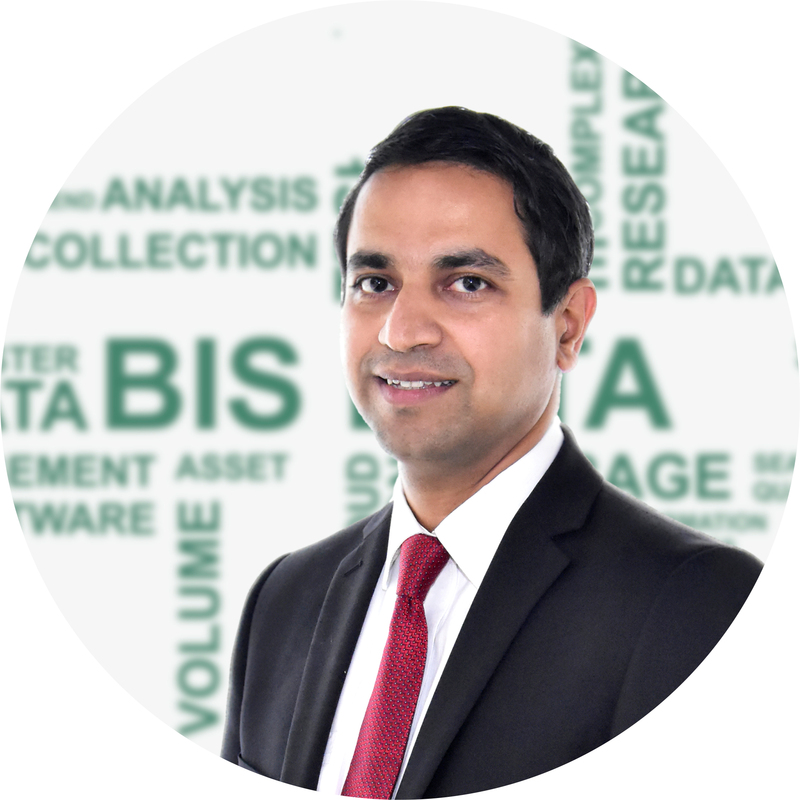 Faisal holds a Bachelors degree in Computer Science from BITS Pilani, one of the most esteemed engineering schools in India, and currently serves as the CEO at BIS Research. Gaurav is an investment banker with over 12 years of experience in Transaction Advisory, Resource Mobilization and Valuations. He has been an adviser in a number of Private Equity and M&A transactions. After his tenure with Deloitte in 2010 Gaurav donned the hat of an entrepreneur and co-founded 4 different IT start-ups in the gaming, healthcare and leisure domains. Gaurav started his career with the Citi Group after becoming a Chartered Accountant in 2002. 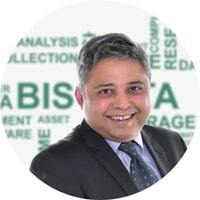 Tushar is a proven business leader with over 14 years of business and consulting experience with Ernst and Young, Allianz Capital and other leading Investment firms. He is also the co-founder of Indo-Ghana Natural Resources Ltd. Tushar graduated as a master from Manchester Business School, United Kingdom in 1998. 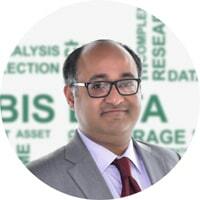 Manoj is the Co-founder and CEO of Ziligence, an AI-driven platform incubated by BIS Research that reveals hidden insights on companies, to help firms optimize their portfolio risk. Earlier, Manoj worked with Evalueserve for over 13 years in several roles across India and the UK and led the creation of InsightBee, a SaaS platform for on-demand custom research. He served as the global head of operations for corporate and professional services verticals and was responsible for a global team of over 700 professionals serving clients across technology, energy, chemicals, consumer goods, transportation, manufacturing and professional services. Manoj has also served as a management consultant for over four years with Accenture’s consulting practice in Asia and spent about 50% of his time advising clients across Middle East, Europe and South East Asia on a variety of engagements spanning from devising the go-to-market strategy for a B2B e-commerce platform to optimizing the distribution network of global companies. Manoj is an MBA in Finance and Marketing from XLRI Jamshedpur and a B.Tech. in Mechanical Engineering from IIT Madras. Dr. Jain is a PhD holder in Physics and a fellow of National Academy of Sciences, India. He began his professional career in Physics at the University of Delhi, followed by universities of Kyoto (Japan) and Bristol (U.K.) and International Centre for Theoretical Physics. Dr. Jain later moved to Science and Technology Management and Policy and served as a Science Attaché in the Indian Embassy in Tokyo, Japan. He also served as the Director in the Ministry of Science and Technology and National Institute of Science, Technology and Development Studies. Dr Jain is associated with S&T Policy & Strategy advise to several countries of Africa, Asia and Europe, with the Commonwealth Science Council, European Commission and several UN agencies. Dr. Jain is the recipient of Emperor of Japan’s medal of honor for promoting research and academic co-operation between India and Japan.